1.1 The game of chess is played between two opponents who move their pieces alternately on a square board called a ‘chessboard’. The player with the white pieces commences the game. But it wasn't always like that. As late as the mid-to-late 19th century, the practice of White moving first had not yet become standard: it was either white or black that could start the game! In annotations of some of the old games you'll see "adjustments" saying the players have been inverted (black<->white) to comply with today's requirements (especially computer programs that don't accept black beginnings. Yes, I know, it looks like white had the first move but...that's not true and you can check for yourself in the original book: The Chess Player, written by Bernard Horwitz and Joseph Kling, published by R.Hastings in London, 1852. I had absolutely no idea that I was looking at a mirrored game in my database! Chess historian Robert John McCrary writes that the earliest rule he has found requiring that White move first is Rule 9 given on page 126 of the New York, 1880 tournament book, which specified, "In each round the players shall have the first move alternately; in the first game it shall be determined by lot. The one having the move, in every case, is to play with the white pieces." Prior to that, it had gradually become conventional, over a number of years, to have White move first in published analysis, and by about 1862 to have White move first in all published games. But it was evident that players could in many cases choose Black when they had the first move, even if the published game-score indicated that White had moved first. In 1889 Wilhelm Steinitz, the first World Champion, wrote that "In all international and public Chess matches and tournaments ... it is the rule for the first player to have the white men". Emanuel Lasker, the second World Champion, stated unequivocally in Lasker's Manual of Chess (first published in 1927) that "White makes the first move". But we are still left with the same annoying question: WHY?! We know now more or less when, but why does white move first? Historically, chess has gone through a long metamorphosis, with the origins of white moving first being still unknown. There are a couple of opinions though, most of them circling around the same idea: racial politics on the first move. Some argue that there are serious racial overtones in the game of chess : Psychiatrist Dr. Frances Cress-Welsing has used chess as a metaphor to describe racism within the context of her social "color-confrontation theory." While Dr. Welsing's theories have been long debated, there are some interesting truisms in her explanations. "In medieval times black was thought to be a lucky colour. The white player was allowed to go first since the black player already had the advantage of the lucky colour." As funny as it sounds, I cannot possibly think of black as being lucky...I could argue here the cats, the witches, all coming from the medieval times. Only ancient Chinese regarded black as the king of colors and honored black longer than any other color. But to draw a conclusion out of this, I think it's premature. some say chess needs Change....could color do the trick? To me the fixed color and style of the board and the pieces of the game take away certain home field advantages other sports bring along with them. It is interesting to check out win/loss records of a home team. Is home field advantage a myth? Does standard colors/boards/rules make chess more even or does chess need to change and let the home team come up with rules that they believe to benefit their champions? To go along with black already being considered lucky, white was supposedly thought to need an advantage to make up for being the color of peace, or surrender during wartime. Many ancient sets had colored pieces (red, green...) instead of black, for example, ivory stained sets. So is not so strange that some players preferred the colored side and thought it lucky. One should look at both the pieces and there positions. No credible source? Wiki "White and Black in Chess". ALSO, it wasn't the medieval times that Black was considered lucky, it was a fad in the time the rule was instituted (which was the 1800s). The chess board is based on the story of cain and abel and also Jacob and Esau In the bible/Torah. The man of the sword moves first. I never thought about this....thanks for sharing it!! When you wish to go to a certain stay soccer flow, a program known as a "streaming press server" smashes up the preferred data file into nfl live stream pieces known as packets. But come quick success with its own challenges, Marcia Kilgore Recognized brand founder. During our first three years we were growing so fast, we did not only fitflop sale t have the resources to focus on the US, as much as necessary, she said.Equally disheartening added Kilgore, was the burgeoning competition. We certainly experienced an onslaught of copycat brands, mizuno wave prophecy 3 she said. That our messaging Diluted and made no doubt consumers cautious category.§To beat the competition back and change the public perception, Began FitFlop managers to increase the quality, versatility and styling line. christian louboutin outlet The company now offers a range of year-round sneakers, casuals and boots for women, men and children, in the spring sold countries.For 52 12, the Horizon brand even expand his way with the christian louboutin shoes debut of trend-diffuser, a luxe more women s collection retailing at $ 350 of $ mbt shoes 275 (as compared to the $ 50 opening price point s Walkstar *). The collection includes the trend diffuser One, a number in the range of sneaker inspired ballerinas to Brogues; and Gladda, a sandal. Families focuses Schuhgeschaft Bender s Shoes & More opened a new location on Friday, in Duluth, Minnesota, USA. The opportunity to mizuno wave shoes enter the market came after a flood damaged a 4,000-sq.-ft. Verizon Wireless Store, the Bender Property LLC then bought and renovated. It sa much larger market than we already available in, mbt outlet so this is exciting for us, said owner Craig Bender, the chain has locations in Grand Rapids, Mich., And Hibbing, Minnesota, USA. [Duluth] Minnesota is s fourth largest city, so that christian louboutin sale there is a pretty good opportunity. "There is an attack shoes of clays [on the market]," said Sam Spears, VP Product and Marketing at MBT. "We did not expect it. We do not fitflop shoes think of MBT as clays. We thought as wellness in mind." According to Klaus Heidegger, majority shareholder, MBT has not seen today clays brands as competition, because they have the same core health and Mizuno Wave Prophecy 2 wellness not offer -Services as MBT. "It's a different audience," he said, adding that MBT has a more demanding customer base. "Our shoes affects the entire body. Compromise people is not with a $ mbt shoes outlet 100-mark by." Despite the more crowded market, MBT continues to grow, as in 1996, since the launch in Europe and in the US in 2003, Spears said. The brand experienced global increases from 2008 fitflop sandals to 2009 with similar results expected this year, for the privately held Swiss parent company, Masai Marketing & Trading AG. 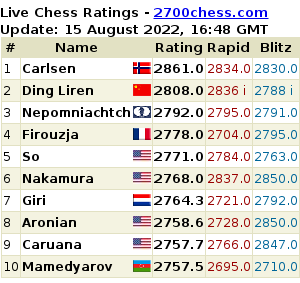 For the people who doesn't aware of the fact why it has to be always white first in chess, It is nothing about theories. We many are aware of the fact that chess was originated in India... But in the 18th and 19th century the British invaders took our game and introduced to Europe as their own.. The entire Europe and World thought the games was invented by Britain: But actually it is not invented by British, it was started during the 6th century .. Awesome Hindi status share with your family and freinds. Is blitz harmful for your chess?